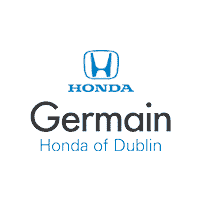 Germain Honda of Dublin is here to help the great people of the Dublin and Columbus, OH area obtain a car loan. We are here to look out for you and your needs. Our finance professionals are here to listen, as we want to ensure you are comfortable with your decision and that your new purchase fits within your budget. Our auto financing team will do what they can to help you secure a car loan, or get you qualified for a new Honda car lease so that you can be on the road without any hassle. For your convenience, you may also take a look at our current Honda lease deals online. If you want to get an idea of how much your monthly car payments will be, then check out our car loan payment calculator on our website. Thinking about trading in your vehicle? Our Black Book market value tool will help you value your trade and get the most for your car. Fill out our contact form so we can get in touch with you to answer any of your auto financing questions. If you prefer, call us or come into our Honda dealership near the Columbus, OH area at 6715 Sawmill Rd to speak to an experienced car financing professional. We look forward to helping you with your auto financing needs!